Rep. Pittenger is "constantly rated as one of the most liberal Republicans in Congress." Is Robert Pittenger among the 'most liberal' Republican congressmen? By Paul Specht on Thursday, March 15th, 2018 at 8:57 a.m.
Rev. Mark Harris, who's running for North Carolina's 9th Congressional District, pauses following a debate among Republican U.S. Senate candidates at Hephzibah Baptist Church in Wendell in 2014. Rev. Mark Harris came within 134 votes of beating U.S. Rep. Robert Pittenger two years ago in the Republican primary for his seat, so he’s trying again this year. And to close the voting gap before the May 8 primary, Harris is questioning Pittenger’s conservative credentials. Pittenger has represented North Carolina’s 9th Congressional District since 2013, when he succeeded retiring Republican Sue Myrick. A Charlotte resident, Pittenger previously served in the state Senate and in 2008 ran unsuccessfully for Lt. Governor. In a recent newsletter, Harris criticized Pittenger for supporting a spending bill that raised the debt ceiling. "Robert Pittenger showed us yet again why he is constantly rated as one of the most liberal Republicans in Congress," the newsletter says. There are 535 voting members of Congress (the House of Representatives and the Senate). Republicans control Congress with nearly 300 seats: 238 in the House and 51 seats in the Senate. The term "most liberal" is somewhat subjective. 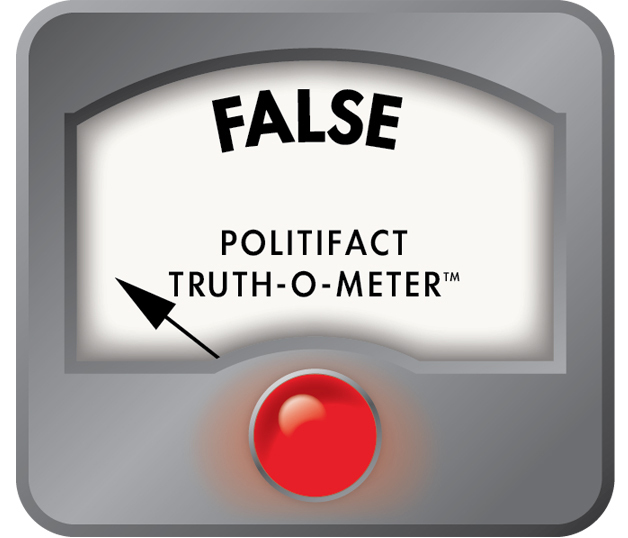 But PolitiFact wondered whether conservative watchdog groups have consistently singled out Pittenger as liberal since he won North Carolina’s 9th Congressional district in 2013. We reached out to the Harris campaign to see what ratings systems he’s referencing in the newsletter. The primary source for the statement is a rating by Conservative Review, according to Harris campaign spokesman Andy Yates. Conservative Review is a website founded by Mark Levin, a controversial radio personality who has referred to Republican Senate leader Mitch McConnell as a "dummy" and "failure." "Pittenger has a 55% F grade with them. It is the second worst grade of any NC Republican House member (McHenry is the worst)," Yates said in an email, referring to Rep. Patrick McHenry, who represents NC’s 10th Congressional district. "Pittenger has consistently graded out as an F with this group which marks him as one of the most liberal Republicans in Congress." Yates is right about Pittenger’s standing among the 10 other North Carolina Republicans in the House. Whether that puts him among the most liberal Republicans depends on how one defines "most liberal." According to Conservative Review’s scorecard, there are about 90 House Republicans – about 36 percent – who have lower "Liberty Scores" than Pittenger. Among those with lower scores than Pittenger: House Speaker Paul Ryan and majority whip Steve Scalise. Yates also cited Pittenger’s 2018 rating with FreedomWorks, which is zero. FreedomWorks is a libertarian-leaning advocacy group. The scorecard mostly covers fiscal policy, civil liberties and regulatory issues, said Jason Pye, vice president of legislative affairs at FreedomWorks. Pye referred to Pittenger as "unreliable" when it comes to reining in spending. Pittenger "generally votes with leadership, and they like to bust spending caps and bust the budget — things we’re opposed to," Pye said. Pittenger has a "Lifetime Score" of 70 with the FreedomWorks. There are about 114 House members with lower lifetime scores than Pittenger. Pittenger’s score places him slightly to the right of California Republican Devin Nunes and slightly to the left of U.S. Sen. Richard Burr, also of North Carolina. Pittenger’s lifetime ratings on FreedomWorks or Conservative Review aren’t extremely liberal (or conservative.) To get a full picture of Pittenger’s record, we consulted other sources as well. Pittenger votes out-of-step with the majority of Republicans 5.5 percent of the time, according to ProPublica. The group says that’s close to the average for Republicans in Congress. He has a score of 90 percent with Heritage Action for America, a watchdog group and think tank that says it "turns conservative ideas into reality on Capitol Hill." The average score for House Republicans is 68 percent. According to a vote tracker on FiveThirtyEight.com, Pittenger’s votes are aligned with Trump 96.9 percent of the time. And there are dozens of Republican House members who vote in-step with Trump less than Pittenger. He has a perfect score with FRC Action, which advocates for conservative social issues. As of 2016, Pittenger also had an 88 lifetime rating with The American Conservative Union, another leading conservative organization. The Club For Growth, which tracks legislation that affects the economy, gives Pittenger a lifetime score of 79 percent – which is in the middle-of-the-road for House Republicans. VoteView.com, meanwhile, says Pittenger is more conservative than 68 percent of Republicans in the House. It would be one thing if Harris said Pittenger isn't taking a strong enough stance on fiscal issues, even if it means voting against the party. Harris could make a case there. But, "to make the assertion that Pittenger is one of the most liberal Republicans is a stretch too far," said Michael Bitzer, chair of the politics department at Catawba College in Salisbury, NC. Harris said Pittenger is "constantly rated as one of the most liberal Republicans in Congress." We can’t find the results to back that up. So we rate this claim False. Published: Thursday, March 15th, 2018 at 8:57 a.m.
A newsletter distributed Feb. 9 by the Mark Harris campaign. Email correspondence with Andy Yates, spokesman for the Mark Harris campaign. Email correspondence with Lawrence Shaheen, spokesman for the Robert Pittenger campaign. Email correspondence with Michael Bitzer, chair of the politics department at Catawba College. A voting scorecard on ConservativeReview.com. A voting scorecard on FreedomWorks.com and telephone interview with Jason Pye, vice president of legislative affairs at FreedomWorks. Story by The Hill, "Trump Threatens McConnell," published on Aug. 10, 2017. A profile of Robert Pittenger on ProPublica.org. A voting scorecard on HeritageAction.com. A database on FiveThirtyEight.com, "Tracking Congress In The Age Of Trump." A voting scorecard on FRCaction.com. A rating by The American Conservative Union on its website. A scorecard by The Club for Growth on its website.